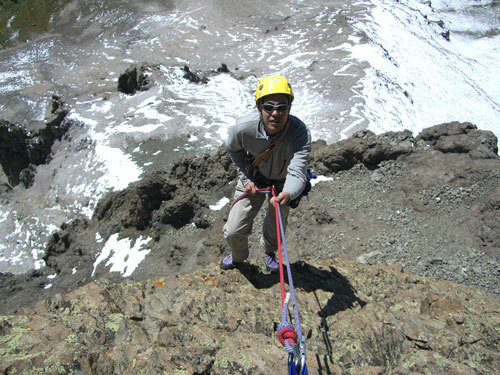 Amy Bauer discovered rockclimbing and mountain climbing after she came to Los Alamos as a graduate student in 2004. Her first hike that summer was to the summit of Wheeler Peak (13,161') with Scott Hsu. Through Scott, that same summer she learned to rock climb, led her first trad climb at El Rito, and climbed Mount Belford (14,197') her first Colorado 14er. Her love for the mountains had crystallized! 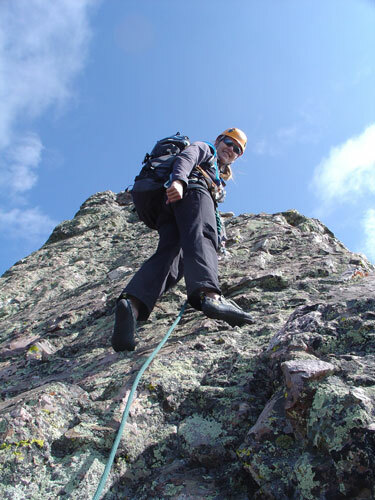 Combining rock and mountain climbing, she ventured into technical alpine rockclimbing, ticking off Wham Ridge (5.4) on Vestal Peak (13,864') as her very next high summit. 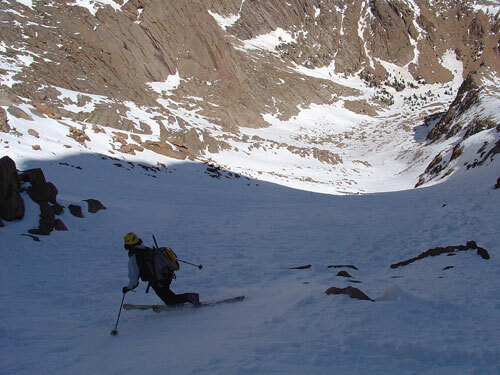 In 2005-06, Amy learned to ski and in May 2007 she had her first CO 14er ski descent off Missouri Mountain, Colorado. (14,067'). The first of only one child, her mother has asked "Do you REALLY have to do that?" Amy joined the Pajarito ski patrol and LAM in 2007, is NSP Avalanche II certified, and is currently training as an Avalanche I instructor. 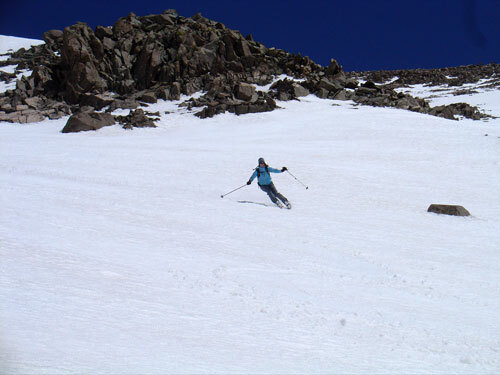 During the 2008-09 ski season, Amy dedicated herself to learning telemark. 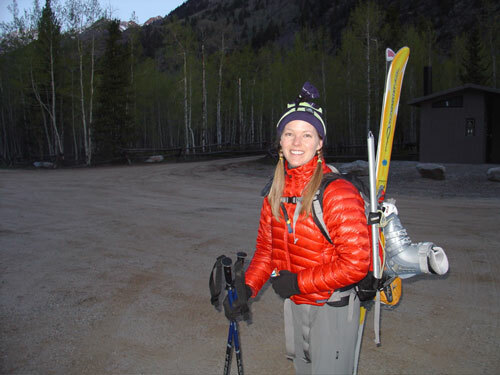 When she's not skiing or climbing, Amy is employed with the Theoretical Biology and Biophysics Group at Los Alamos National Laboratory where her main research interest is developing computational models and performing simulations of tumor-induced blood vessel growth.